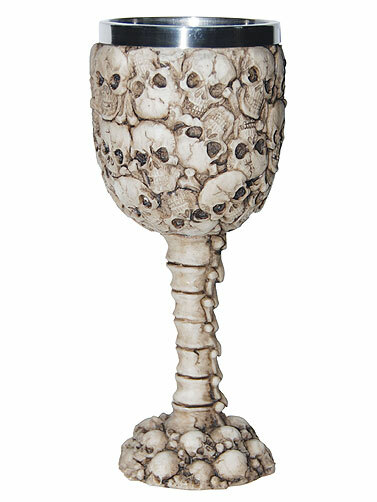 Our Deluxe Pile of Skulls Goblet has a collectible look and intricate detailing. Great for Halloween but nice enough for every day use. Resin goblet looks like it was formed from miniature skulls. Features a brushed stainless steel drinking cup. Hand wash. Deluxe Pile of Skulls Goblet measures 7.25"H.